How can you encourage people to eat less meat? One way is a "vegetable zoo." The concept won two staffers from Cohn & Wolfe Sweden gold in the Young Lions PR competition. 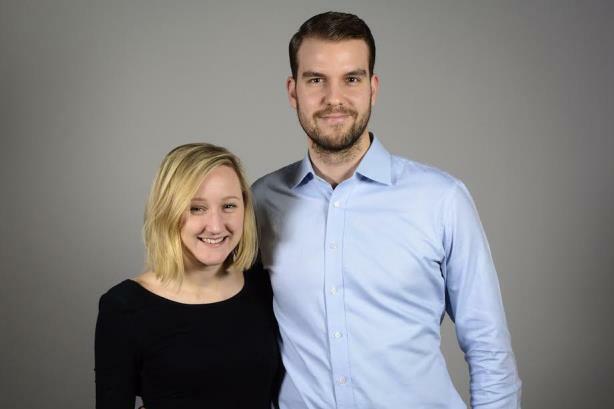 CANNES, FRANCE: Two staffers from Cohn & Wolfe Sweden have taken home the gold medal in the Young Lions PR Competition at the Cannes Lions International Festival of Creativity for a Greenpeace campaign urging people to eat less meat. After they were briefed by Greenpeace, Cohn & Wolfe Sweden account managers Joseph Borenstein and Linnéa Rinäs, along with 17 other teams, had 24 hours to come up with a campaign idea. To decrease meat consumption, Borenstein and Rinäs came up with The Vegetable Zoo, a pop-up zoo housing common livestock built entirely from vegetables. "From birth to burger, a cow is the cause of more than 10 times more CO2 emissions than the same weight of vegetables," explained Rinäs. "To manifest this, the zoo would display animal-shaped vegetable sculptures, scaled to show how many vegetables you get for the same CO2 emission as one animal." For instance, the cow sculpture would be 10 times bigger than a normal cow, Rinäs added. She likened the campaign to "real-life infographics." The campaign concept also included vegetarian food trucks with recipes written on napkins. Greenpeace’s social media accounts would also be used to share images of the zoo. "The trickiest part, when coming up with this campaign, was figuring out how to best get through to the target group on an intellectual and emotional level," said Borenstein. Greenpeace may eventually use the campaign, said Rinäs. But for now, it is only a concept. "Because Young Lions is all about the idea, there are no restrictions," she said, comparing the Young Lions category to others at Cannes. "We were able to go all in and let our bold idea speak for itself." The silver medal for the Young Lions PR Competition went to Ogilvy & Mather Colombia, while the bronze medal went to J. Walter Thompson Always in China. "Something we are even seeing in the ‘big Lions’ is that all the great campaign ideas come from a PR perspective from the beginning and a focus of earning media and buzz and building upon that," added Rinäs. "You have to have that big idea that is going to carry itself throughout a campaign." The Cannes Lions International Festival of Creativity is running through June 27 at The Palais des Festival, in Cannes, France.